Are You Ready For A Flying Car? It is one of the most anticipated shows in London and maybe in Europe. London could not have thought of a better timing to celebrate one of the most iconic artists of his generation. With the Olympics just around the corner Tate Modern's major survey into the work of Damien Hirst proves that recent art history cannot be written without Hirst being one of the protagonists. The Bristol born artist, a prominent figure of the Young British Artists (YBAs) is one of the most talked about and controversial artists around the globe. No one can deny the fact that his pieces are charged and despite the love and hate relationship many people have when exposed to his art, no one can say that his work will leave them indifferent. The show at Tate Modern is beautifully curated, well-thought and has a culminating effect that pleases the viewer and creates an anticipation of what is going to come next. 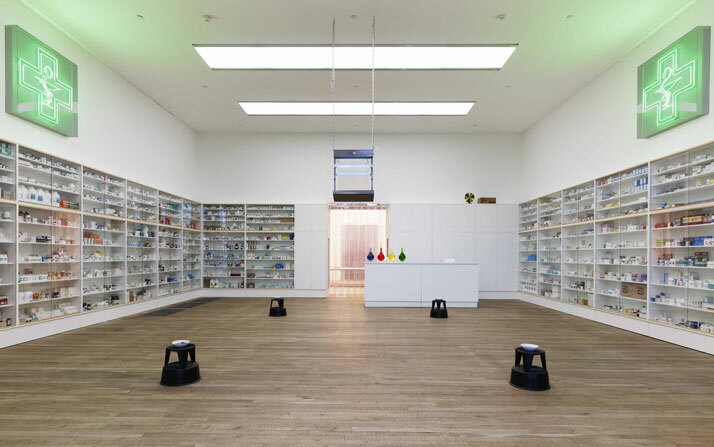 The first room starts with the artist's early works, a room which is of major importance as by the end of the show you realise both the artistic development of Hirst and his maturity as his career progresses. In this very first room the viewer sees the 8 Pans, a piece made back in 1987 and the piece: Kitchen Cupboard made in the same year and as well as his first experimentation with the Spot Painting (1986) where the spots are not aligned and they are not perfect. As you move to the next room you are exposed to his progression as an artist. You come across his iconic paintings, The Spot Paintings, which by 1994 they look much different. The spots are well-rounded, ordered and well proportioned. It is the rooms where the experimentation with colours becomes obvious. 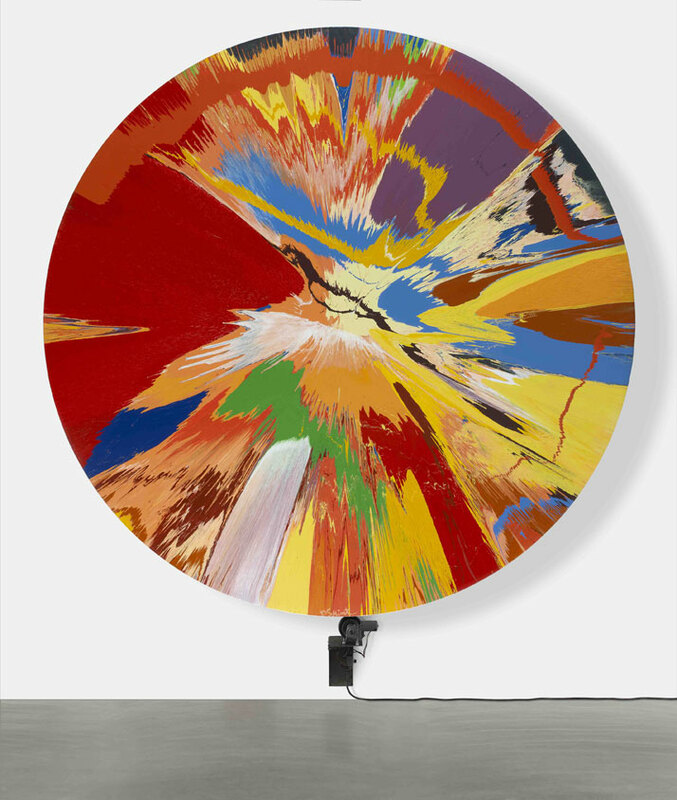 © Damien Hirst and Science Ltd. All rights reserved. DACS 2012. Important works such as the A Thousand Years made in 1990 are also presented. 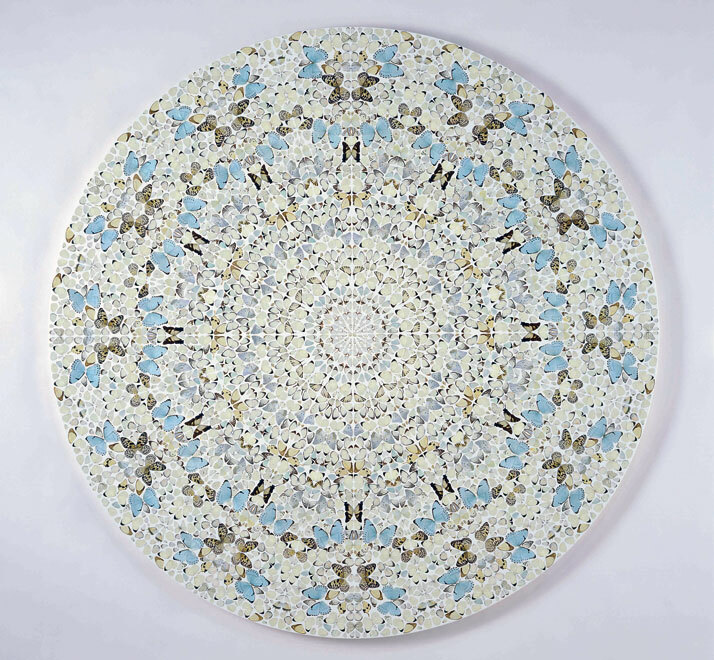 Hirst characterised this work as one of most important in his career. An ever present glass vitrine in the middle of the room creates sensation to the viewer which is exposed in a raw way to the life circle itself. The white minimal box in the centre of the cubicle breeds flies which feed on a cow's severed head which rots, the blood from the head is still fresh. Then in the cubicle you see an insect-O-cutor where some of the flies are killed whereas some others continue to survive. It is a powerful piece of art with familiar themes such as life and death and artist as the ultimate creator. 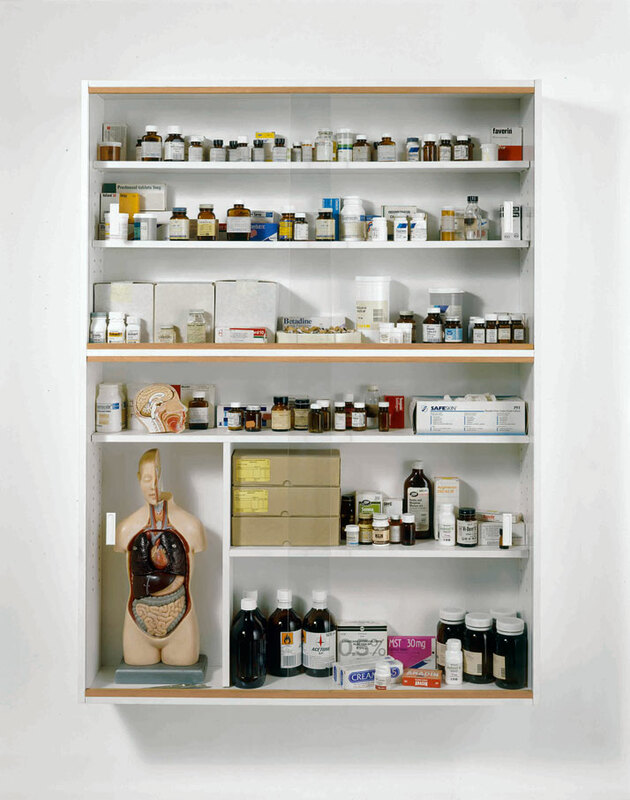 Other iconic works of Hirst such as the Medicine Cabinets and The Physical Impossibility of Death in the Mind of Someone living (1991) devour the room. 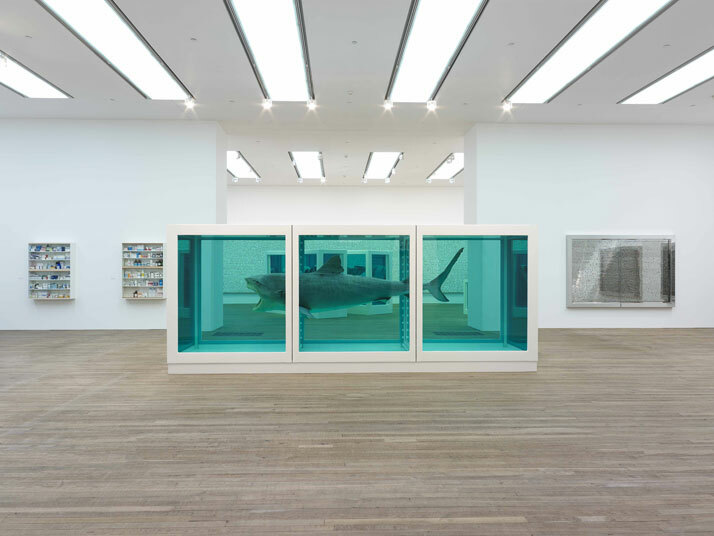 The Shark in formaldehyde is one of the most talked about pieces of art of the twentieth century. A piece which carries controversy and admiration. Primal fear, life and death are again themes presented and exposed in such a way capturing the heart and mind of the viewer. The huge shark with his wide open vicious mouth represents the ultimate fear, a symbol, an icon, a predator which is dead preserved as if it is alive. As you move on to the rooms that follow a queue is formed. The anticipation grows and the viewer enters a room full of butterflies flying around in a specially maintained humid environment. It is a piece of art especially recreated for the purpose of the show. 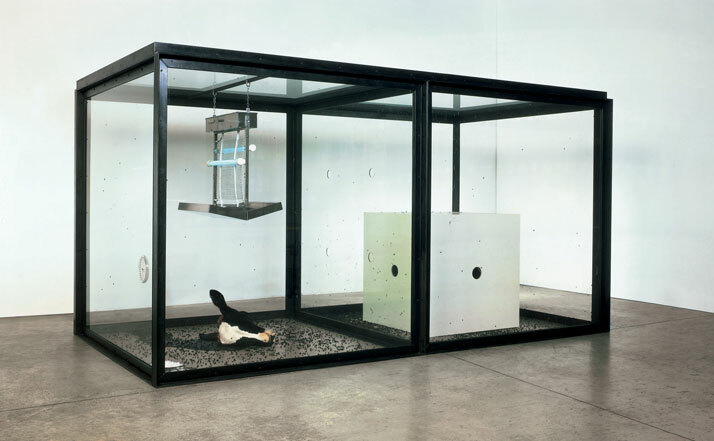 It was first shown in 1991 in Hirst's first solo exhibition in London. Some of the butterflies are drunk fed on sugar, water and flowers. The majestic colours of their wings epitomize their beauty, their environment seems pure and untouched. The butterflies are moving freely almost undisturbed by the human presence. 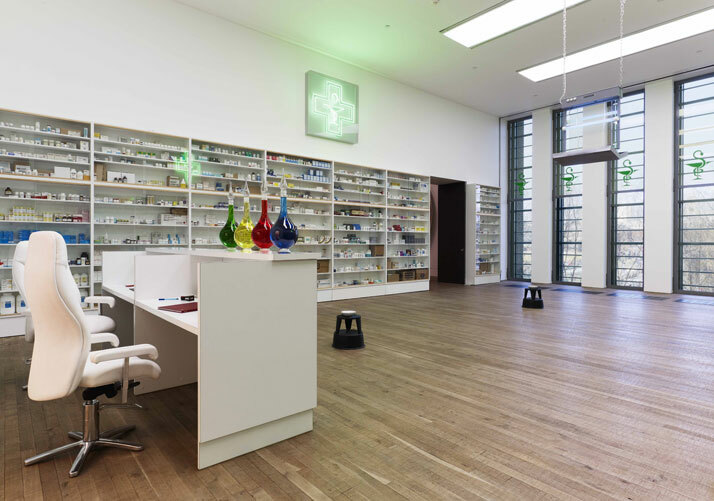 As the ultimate culmination of the show, the last room is a form of tribute to the Sotheby's auction in 2008 when Hirst skipped almost arrogantly the traditional way of selling work through the galleries and went on directly to the art market avoiding the gallery system. This created a major controversy and the room is essentially a piece of art work itself as it represents this dramatic move by the artist which revolutionised the way art business can be done. With his piece For the love of God (2007) located in the Turbine Hall , a diamond encrusted skull the artist epitomizes in a glorious and yet cynical way death and luxury. At the same time the amazement the diamonds create to the viewer cannot be ignored. 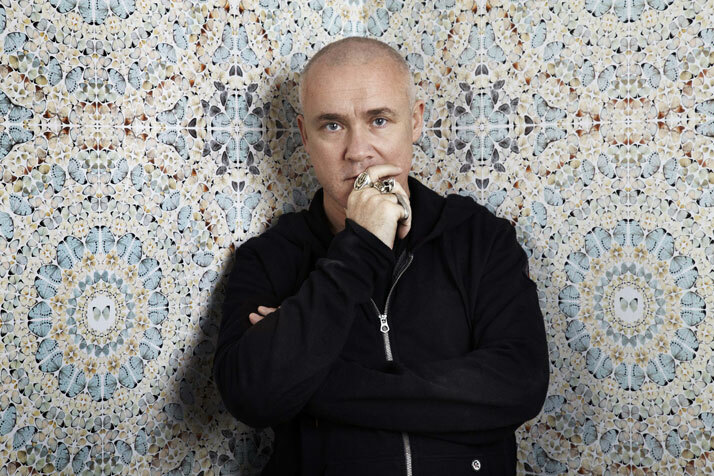 Hirst said it: ''it is the most alive thing I have ever made''. 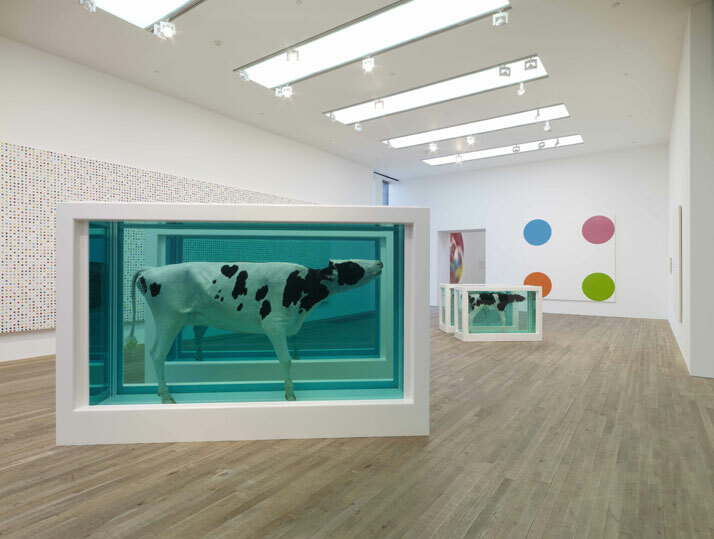 The show offers a unique opportunity to see in a complete and flawless way the career of Damien Hirst and once you leave you have the urge to see more something that only great shows create to the viewer.